The Office for Student Affairs encompasses the programs of Counseling Services, Campus Ministries, Community Service, Campus Recreation, Student Activities, Greek Life, and Residence Life. These programs are designed to help develop oneself outside of the classroom. We offer a wide array of opportunities through clubs, organizations, activities, service opportunities, and leadership positions. Our student services are free to use (Campus Ministries and Counseling) and exist so that you can have a better experience during your time here. We hope you can take advantage of these services and opportunities by getting involved! Welcome home, and Hawk ’em! 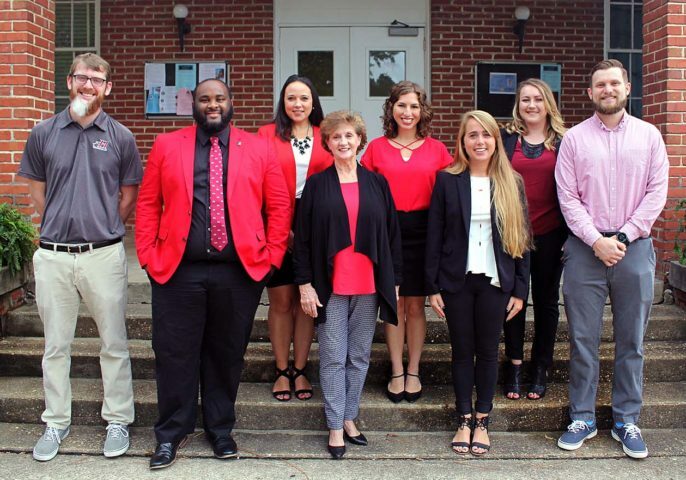 The Office of Student Affairs at Huntingdon College is committed to the holistic development of the Hawk Community by promoting collegiate engagement through fostering Faith, Wisdom and Service. The Office of Student Affairs at Huntingdon College strives to build lasting relationships among its diverse community by cultivating spiritual growth, knowledge and stewardship. Support and challenge student’s spiritual life and journey. Prepare individuals for success in all their endeavors. Reveal a passion for civic engagement. In addition, Resident Assistants (RAs) work as part of the Student Life staff to maintain a safe, educational, and fun living experience in the residence halls. Huntingdon College is a smoke-free campus.